A 34-year veteran of the Houston Police Department drowned in his patrol car while responding to deadly Hurricane Harvey over the weekend, officials said Tuesday afternoon. Sgt. 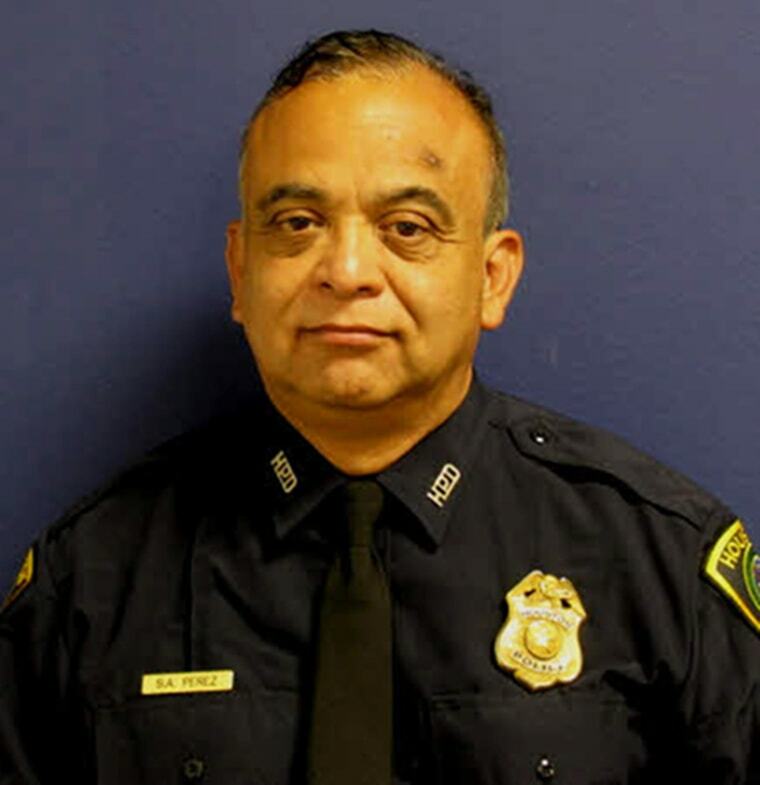 Steve Perez, 60, died when he became trapped in floodwaters while on his way to work on Sunday, Houston Police Chief Art Acevedo said through tears at a news conference on Tuesday afternoon. "Unfortunately in the darkness, Sgt. Perez drove into an underpass that’s around 16 and a half feet, drove into the water and he died in a flood, drowning-type event," he said. Acevedo said Perez never arrived to work on Sunday and contacted his wife, who said she had not heard from him since 4 a.m. that morning. "The wife told me she asked him not to go in," Acevedo said, his voice choking with emotion. "His response was 'We got work to do.'" Authorities immediately began "an extensive search" for the potential path Perez would have taken, Acevedo said, and had narrowed the search to an area near Hardy Toll Road and Beltway 8 by Monday evening, but conditions were still too dangerous to begin a recovery effort. "Once our dive team got there, it was too treacherous to go under and look for him so we made the decision to leave officers there waiting until the morning — because as much as we wanted to recover him last night, we could not put more officers at risk for what we knew in our hearts was going to be a recovery mission," he said. The dive team returned and discovered Perez' body Tuesday morning, Acevedo said. "He laid down his life," he added, later calling Perez "a sweet and gentle public servant." "Our hearts are saddened," Houston Mayor Sylvester Turner said at the press conference. "He was seeking to serve this city." News of the officer's death was first reported by the Houston Chronicle earlier Tuesday. Harvey, which is now a tropical storm, is being blamed for at least five deaths in Texas and officials have said they fear the toll could greatly rise once waters have finally receded. And heavy rains were expected to continue for several days, with portions of Texas and Louisiana forecast to receive record rainfall. More than 3,500 people have already been rescued by police, authorities said Tuesday.